Prior to any application of atrazine, chlorpyrifos, or neonicotinoid class insecticide, farmers will need the approval of a certified agronomist from the Ordre des agronomes du Quebec (OAQ). Agricultural producers will be required to keep a record of all pesticides applied, as well as declare their annual sales of pesticides. The Quebec Environment Ministry will publish a report on retail sales. Seeds coated in neonicotinoid insecticides will be considered pesticides and subject to the same requirements therein. Residential and commercial use of neonicotinoids on lawns will be prohibited. To ensure the implementation of these new regulations goes smoothly, the Environment Ministry will establish a monitoring committee to oversee the process. The province has already allocated $14 million over five years to assist farmers in reducing pesticide risks and adapting to the new measures. The imposition of record-keeping is basic measure to protect public health. Publicly accessible reports on pesticide use can provide critical information, particularly in agricultural regions, that physicians and those that suspect they were poisoned by pesticides can use to treat possible pesticide-related illnesses. Recordkeeping can also increase accountability for pesticide incidents when they occur to non-target species or are found at concerning levels in waterways. The reclassification of neonicotinoid-coated seeds as regular pesticides is an important development, because at the federal level in the U.S. and Canada, regulatory loopholes have allowed the chemical industry to categorize neonicotinoid coated seeds as “treated articles,” exempt from the safety requirements other registered pesticides must follow. Prior approval of neonicotinoid coated seeds should never occur under a smart pest management strategy, as peer-reviewed research finds these coatings, while presenting a significant risk to pollinators and birds, increase pesticide dependency, and do little to improve yields. Neighboring Ontario province took action against neonicotinoid coated seeds in 2014, aiming to reduce the use of these products by 80% to improve the health of its beekeeping industry. In the U.S., the state of Vermont passed a law in 2016 providing the state authority to regulate treated seeds as registered pesticides. To further protect pollinators, restrictions on the use of neonicotinoids in turf will significantly impact urban areas. 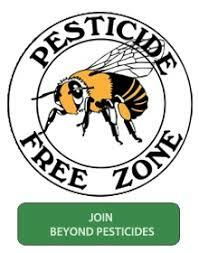 The range of scientific data on neonicotinoids’ harm to pollinators, coupled with reports on the contamination of “bee-friendly plants” with these chemicals has led many retailers throughout the world, including Lowes, Home Depot, Walmart, Tru Value, Woolworths, to stop their sale. Scotts Miracle-Gro began phasing neonicotinoids out of their Ortho brand in mid-2016. These actions have followed increasing activity in U.S. states to restrict their use in residential settings, as Maryland and Connecticut have done. In this regard, Quebec’s move follows actions by their largest city, Montreal, which completely banned neonicotinoid use within the city in 2015. Quebec’s new rules on toxic pesticides represent a compromise for both farmers and health advocates. These chemicals may continue to be used, but inserting agronomic experts with an eye for both the economic and health concerns surrounding the use of highly toxic pesticides into the process may be a strategy to significantly reduce pesticide use. The good news is that by also improving record-keeping, Quebec’s strategy can be closely evaluated to ensure the approval process is not simply a rubber stamp for pesticide use. See Beyond Pesticides’ Pesticide Gateway for more information on the health and environmental effects of the pesticides targeted by Quebec’s Environment Ministry. And take action to restrict bee-toxic chemicals in the U.S. by asking your member of Congress to join in support of the Saving America’s Pollinators Act, which would suspend the use of neonicotinoids until EPA shows that they do not harm pollinators. This entry was posted on Wednesday, February 21st, 2018 at 2:12 am	and is filed under Uncategorized. You can follow any responses to this entry through the RSS 2.0 feed. You can skip to the end and leave a response. Pinging is currently not allowed.